Easy to make and fun to wear this slightly slouchy beanie is crocheted using worsted weight yarn in either multi-color or a solid!! This is a One Skein Project and is made with Vanna’s Choice Yarn by Lion Brand Yarn! Here is the Ladies Whimsical Warmth Beanie made in a solid theme using Vanna’s Choice Yarn in Beige! Of course, if you were a fan of the children’s hat,,, You can make it in a fun and even more whimsical style using as many colors as you like!! This fun whimsical style is made using Vanna’s Choice Yarn in Kelly Green, Terra Cotta, Honey and Cranberry! So if you are ready to make an easy beanie, let’s get started… Grab your yarn and hooks and have some fun!! Worsted Weight Yarn ~ 170 yards total. If making a solid color hat you can use one skein. If making a multi-colored hat I used 4 colors. A, B, C & D.
Puff Stitch ~ (Yo, insert hook in designated space, pull up a loop) 4 times, yo and pull through all 9 loops on hook, ch 1. Make sure all loop you pull up are a double crochet height. Finish off leaving a long tail for sewing band together. Join beginning ch foundation row to row 66 and sew together in 1 loop of each row to form the band of the hat. You will now be working in the round and continuing with color A if making multi-colored hat. Rnd 1: Working in end of rows of Hat Band Ribbing. Join in any row end with sl st. Ch 1, sc in same st and in each row end st around. Join with sl st to beginning sc . = 66 sc. Rnd 2: Ch 1, sc in 1st st, ch 1, sk st, *sc in next st, ch 1, sk st* Repeat * * around. Join with sl st to 1st sc. = 33 sc & 33 ch-1 sps. Rnd 3: Sl st in next ch-1 sp, ch 1, Puff st in same sp, ch 1, *Puff st in next ch-1 sp, ch 1*, repeat * * around. Join to top of 1st Puff st. = 33 Puff sts & 33 ch-1 sps. Rnd 20: Ch 1, sc in 1st st, ch 1, sk st, *sc in next st, ch 1, sk st*, Repeat * * around. Join with Sl St to beginning sc. = 25 sc & 25 Ch 1. Rnd 21: Repeat Round 3. = 25 Puff Sts & 25 Ch 1 sps. Rnd 26: Ch 1, Dec around. Join to beginning dec with sl st. = 10 sts. Using a yarn needle, sew the last 10 stitches together by weaving in and out of each of the 10 sts. Draw the opening closed and tie off on the inside of the hat. I hope you enjoy my free patterns!! To view more of my fun designs… Head over to my Free Pattern Page!! Stay tuned for a Whimsical Warmth Headband Pattern coming soon!! 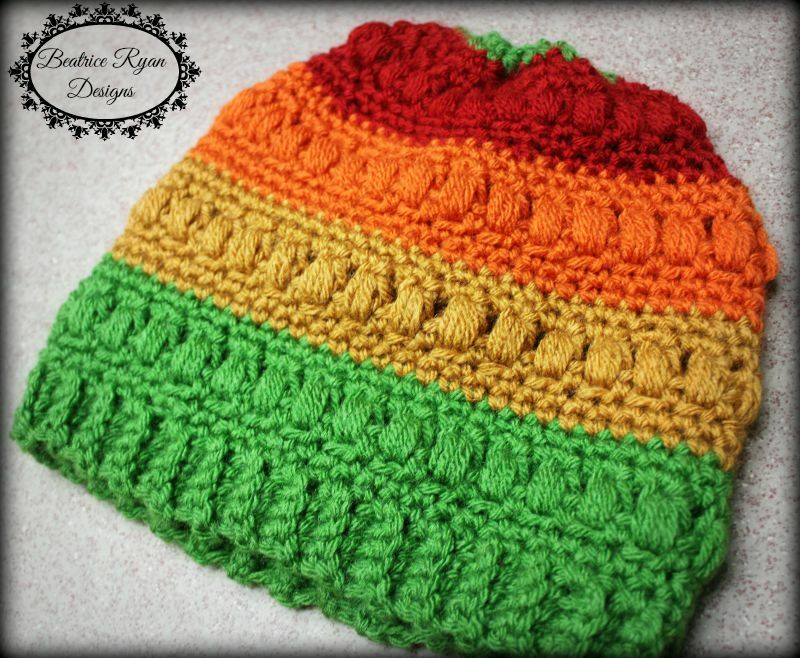 Children’s Whimsical Warmth Beanie…Free Crochet Pattern!! 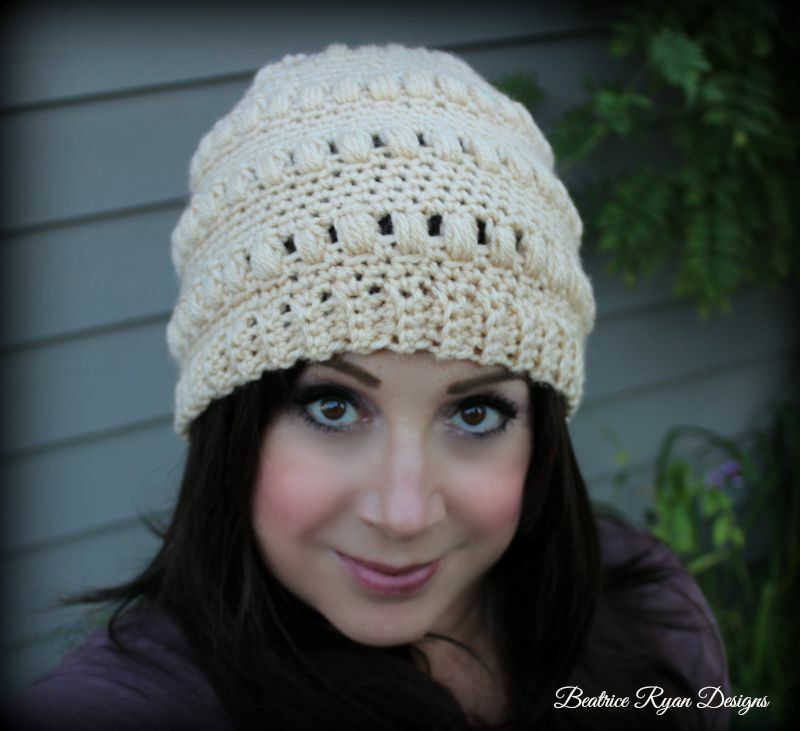 Whimsical Warmth Headband… Free Crochet Pattern!! Do you really make 66 rows of single crochet in the band ribbing? Or should that be rows 2-6? Yes.. There are 66 rows. I know it states 66 rows but when I did that many it seems large around the head. I’m usung Country Loom and May be thicker, also using an H hook since I don’t have an I hook. I youth about taking it out until it measures about 22in? Would this mess un the further instructions? Please help! Thabks for this pattern, my cousin was just diagnosed with cancerand started chemo last week, so I’m making her a few hats.